“I live next to a farm!” This can be said with enthusiasm and excitement or disappointment and disgust. Living next to a farm can be a good or a bad thing, depending on your point of view. City folks want to move to the country, as they see it as idyllic and bucolic. 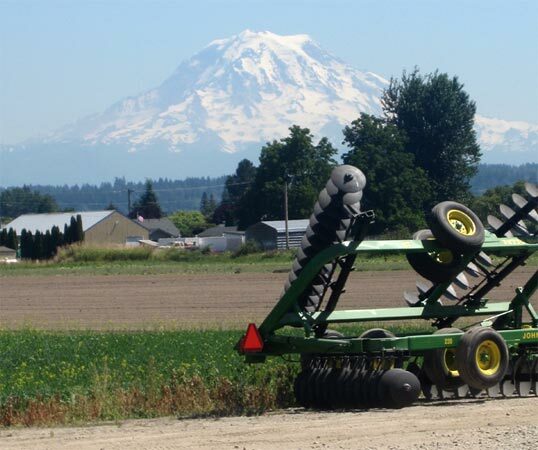 Farmers worry when city folk move in. Farmers know that the NOISE, ODORS, FUMES, DUST, SMOKE, THE OPERATION OF MACHINERY OF ANY KIND (INCLUDING AIRCRAFT), THE STORAGE AND DISPOSAL OF MANURE, THE APPLICATION BY SPRAYING OR OTHERWISE OF CHEMICAL OR ORGANIC FERTILIZERS, SOIL AMENDMENTS, HERBICIDES AND PESTICIDES, HOURS OF OPERATION, AND OTHER AGRICULTURAL ACTIVITIES from their farm operations not only could, but will impact their residential neighbors. Often these new neighbors detest the smells of the rural scene smells or getting slowed behind tractors on the roadways. Then they lobby their politicians to create laws placing restrictions on farming practices. 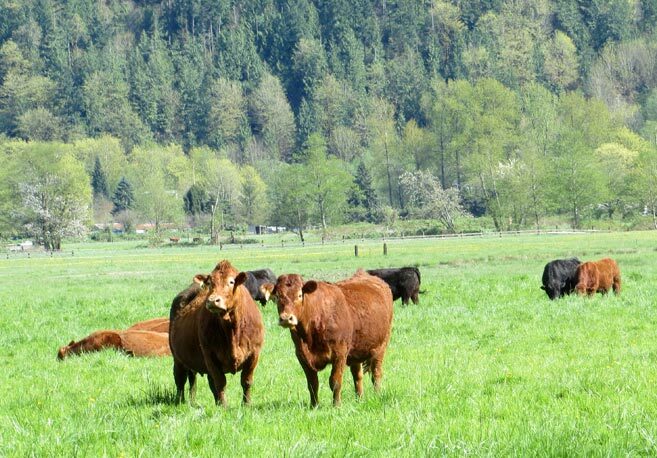 Farmers fight back establishing “Right to Farm Laws” that permit farmers to do their job, spreading fertilizers and manures, tilling soil, and growing food and forage. 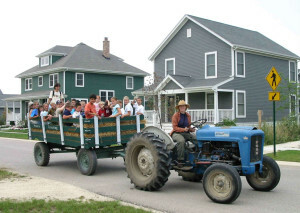 Mistrust between residential dwellers and their rural counterparts can be intense and nasty, especially as suburbanite neighborhoods spread into farm communities. The new arrivals are unfamiliar with the livelihoods of their rural neighbors and want to tame the farmers’ practices to create the idyllic farm experience. Unfortunately, childhood story books and pre-school day trips to pumpkin farms do not depict the real work behind farming. In Washington State, the rural/urban divide created by the Growth Management Act is strong and strengthens this distrust. Over 20 years ago, legislators decided residential, commercial, and industrial developments belonged in cities, while the rural areas were for farms, forests and large lot residential subdivisions that would house people that could supposedly tolerate rural economies. 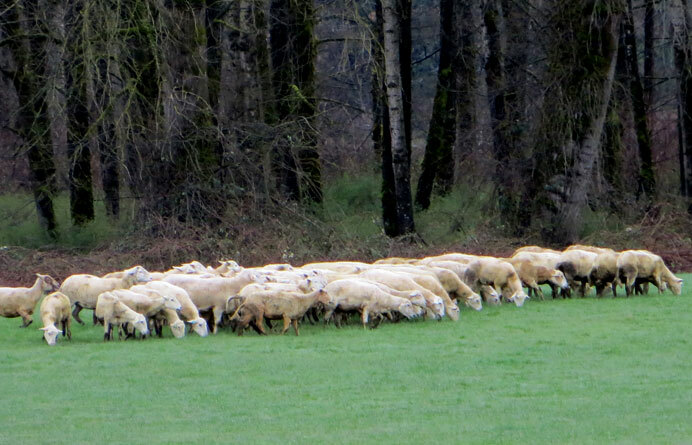 The consequence of this separation, is further distrust and the erosion of understanding where food comes from. Even though distrust exists between city dwellers and country folks, new real estate trends are emerging in pockets across the United States where the urban brethren are yearning to be affiliated with farms and farmers. A small but growing percentage of the US population are becoming eaters and foodies that frequent farmers’ markets wanting the freshest organic produce and pasture-raised meats and eggs. Knowing the farmer and his or her farm practices is increasingly important to this group, so much so, that they want to live in or adjacent to a place where food is grown, hence the birth of the agri-hood. In the last two years, I have visited four of about a dozen agri-hoods located across the United States. This blog will describe two of these communities. One hour northwest of Chicago is Prairie Crossing in Gray’s Lake, Illinois, the first modern agricultural-residential master planned development community with its first residential sales in the 1990s. In 1987, when the property was threatened with development of 2,400 homes, a group of neighborhood activists purchased it to develop it with an intention to maintain open space and agricultural uses. Now built-out, Prairie Crossing has 359 single family homes, 36 stacked flat condominiums, a charter school, small-scale retail village, a community barn/event space, a 100-acre working farm and an agricultural educational non-profit. Visiting Prairie Crossing on a crisp bright November day, I was immediately swept to another time where time slowed down and nature mattered. The droning buzz and incessant stimulus of suburban life was gone, replaced by stillness and the calmness of the natural world. There were no traffic lights, neon signs or endless rows of homes or strip malls. Instead, the tall grasses swayed in the breeze and the fields of salad greens were ready to be harvested for Thanksgiving. Chickens roamed freely in their fenced pasture while sheep munched on the remnants of summer grasses. Prairie Crossing features a 100-acre organic farm with the original farmstead house, barn and outbuildings operated by Sandhill Family Farms, located as a centerpiece of the 667-acre development. Over 60 percent of the property is protected recreational, educational, and open space or farmground. Sandhill Family Farms success has allowed them to expand their production and ensure adequate crop rotation by adding acreage with another farm business 80 miles away in Brodhead, Wisconsin. 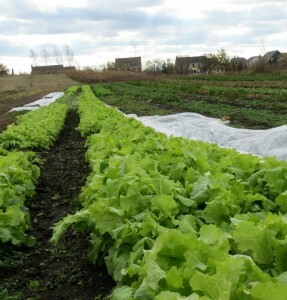 The Prairie Crossing farm has heavier soils with more organic matter suitable for growing salad greens, garlic, beans, cabbages, and kales, while the Brodhead farm has sandy soils beneficial to tomatoes, potatoes, and pumpkin production. To grow organic food most sustainably, it is critical to rotate field crops yearly to prevent the pest bugs from establishing large colonies to attack crops. 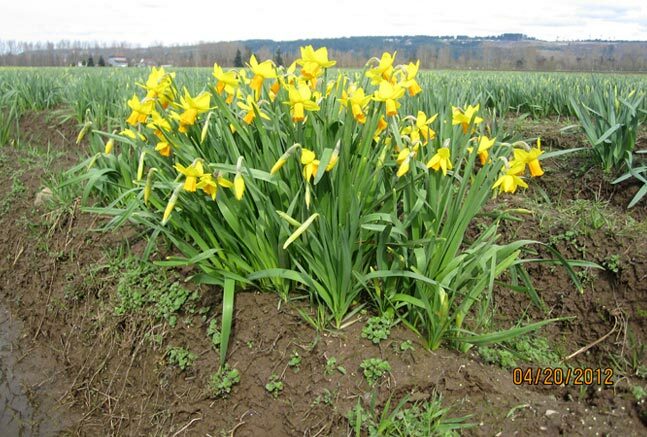 Farm products also grow better when a cover crop is intermittently included in the crop rotation to control soil erosion, add fertility, and improve quality. For these reasons it is advantageous to have multiple farm properties, different soil types, and good separation between fields. With all the farm amenities, Prairie Crossing residents benefit directly by purchasing from their farmer! The Cannery will reach full build-out with a mixture of 547 single family, multi-family and townhomes, 30 acres of parks and open space, a retail area with up to 172,000 square feet of commercial space and a 7.4 acre working urban farm. The property is surrounded on the south and west by city streets and on the north and east by large swaths of commodity-sized agricultural land. 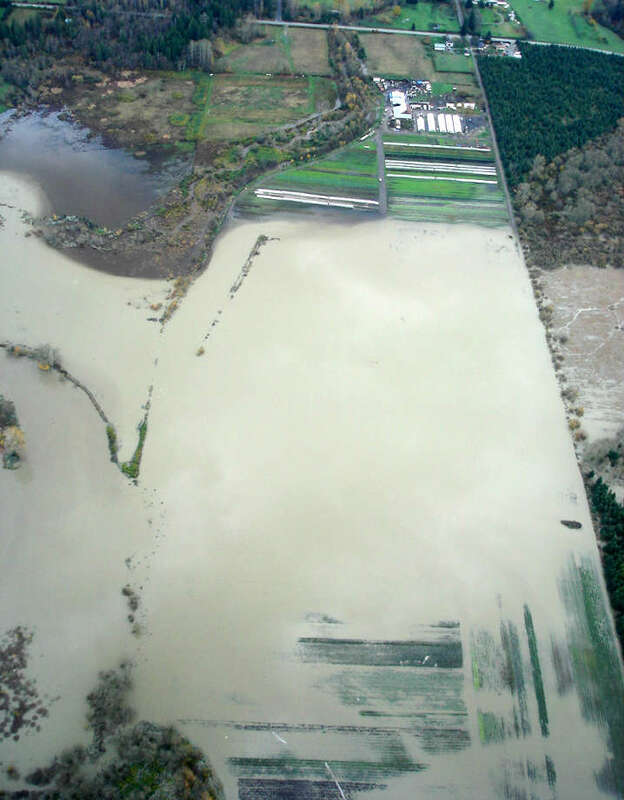 The Davis zoning code requires a minimum 300-foot buffer separating long term agricultural uses from urban uses, resulting in the required buffers being used for stormwater management detention facilities and the farm. The Center for Land-Based Learning will manage The Cannery’s farm and receive three $100,000 payments over three years to establish the farm enterprise. The City of Davis will own the underlying row crop acreage, the orchard, and the farmhouse, which is currently being used as the developer’s welcome center. The farmable area will be 5 acres, stretching about one-half mile at a 100-foot width. The remaining 2.4 acres of designated farm property is being used for the hedgerow, farm road, and the barn and farmhouse. Two experienced graduates from The Center for Land-Based Learning’s California Farm Academy apprentice and incubator program will be the on-site farmers. There are significant differences between these two agricultural-residential communities. Prairie Crossing has a sense calm and peace. Granted it was a cold, windy, but sunny November Saturday, but just entering the property the pace and intensity of a typical American life was shed. The farming operation with the supporting barns and hoop houses are almost 15% of the entire land mass and are a community focus in the center of the property rather than being tucked in a corner or a buffer. Walking paths crisscross the community, offering vistas across the farm property. 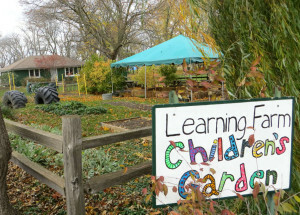 Both the teaching garden and charter school exude children’s creativity even in November with the skeletal remains of summer tomatoes in the child-sized garden plots and colorful welcome signs. Sandhill Family Farms operates a full-fledged farm business with row crops, chickens, and sheep to supply a thriving Community Supported Agriculture (CSA) program. Prairie Crossing was created with intention and purpose as a master planned development not using a traditional model, but rather something different and special. It shows. Alternatively, The Cannery is developed by an arm of a large U.S. conglomerate, ConAgra. The farm is 7% of the entire site and is squeezed in a city mandated buffer between large-scale agriculture and a road to serve dense urban development. Density is important to curbing urban sprawl, but whether this farm is merely window-dressing or an integral part of the community remains to be seen. 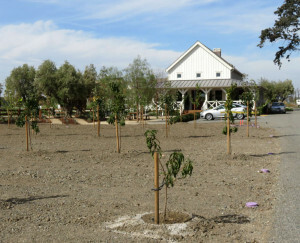 Each home is expected to have a citrus tree in their front yard, but they had not yet been planted. 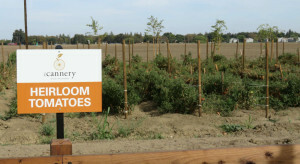 Walking paths and seating areas are placed next to the farm, so residents can watch the food grow. Prairie Crossing has been completed and is entering its mature phase, while The Cannery is expected to be built out in the next three to five years. Each community offers the ability for residents to reconnect with where their food comes from; the soil, a tree, the farm. 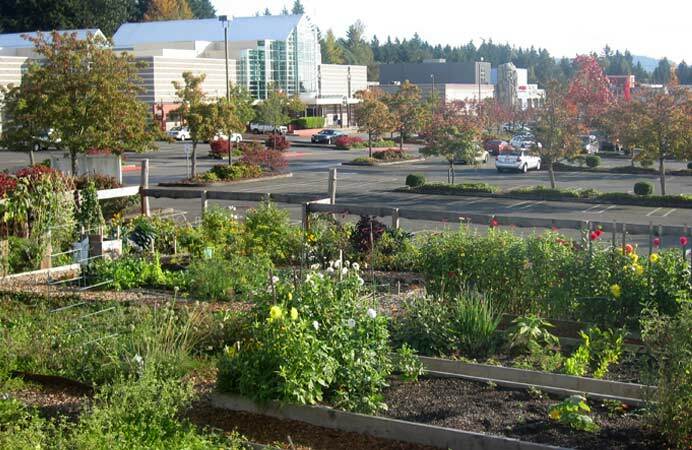 This entry was posted in Farmland Preservation, Land Use Planning, Local Food, Sustainable Communities and tagged Agri-hood, Center for Land Based Learning, Farmland Preservation, Prairie Crossing, The Cannery by Kathryn Gardow. Bookmark the permalink. Thank you for the significant contrast of the two. It would also be interesting to learn what growing practices are being followed, whether organic, permaculture, high use of chemicals and sprays, etc. 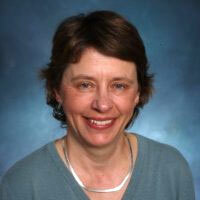 and what type of individuals and families join the community. I look forward to a followup article should you continue to stay abreast of their development. Good questions, Marlen. Each community had a very different feel. I believe both use organic or at least more sustainable methods for their agricultural practices. In the Prairie Crossing community you are able to “leave your lawn in prairie” rather than being required to mow. I don’t expect that to be the case in Davis. So, you can imagine that there would most likely be different types of families that join each community.